Waterproof Pad with a polycotton cover and a waterproof backing. 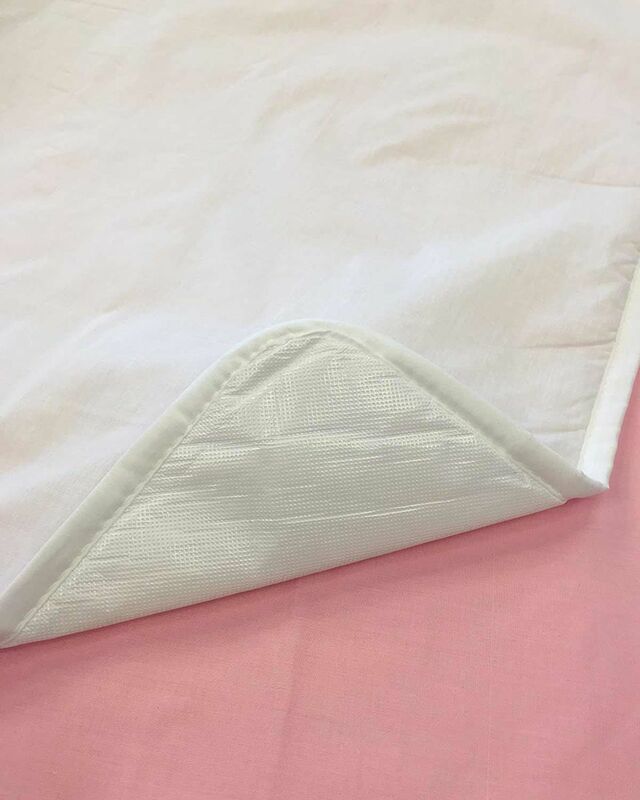 Useful, machine washable, waterproof pad with a polycotton cover and a waterproof backing. Approx. size 98cm x 75cm.